This beautiful ruled journal is based on Patanjali’s eightfold path for a meaningful life, elucidating each of the limbs of yoga through illustrations and brief descriptions and providing ample room for note-taking. 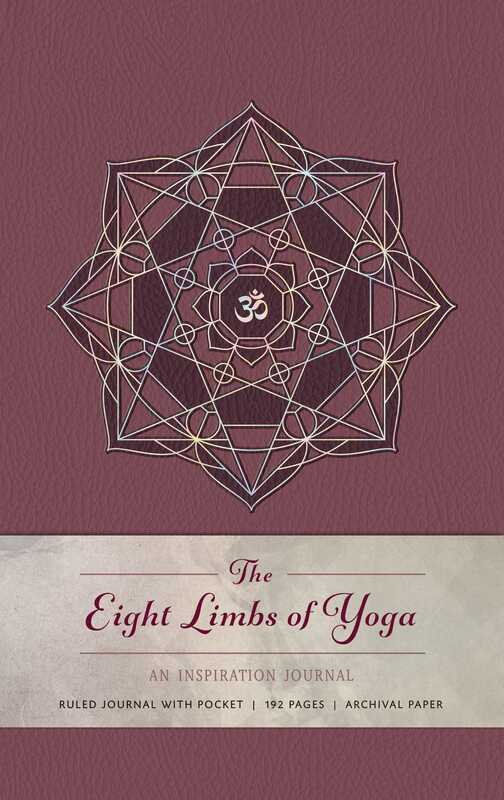 This elegant journal features gorgeous illustrations dedicated to the eight limbs of yoga, as set out in The Yoga Sutras of Patanjali. The eight limbs’ meaningful characteristics are explained briefly and presented along with attractive graphics. Featuring ample space for writing notes and recording inspirations, this journal provides useful information on the significance of the path of yoga and will be a treasure and an inspiration to its users, whether or not they are practicing yogis. The 160 lined, acid-free pages made from archival paper take both pen and pencil nicely, and the vegan leather cover is durable and elegant.